Current events making you want to take a second look at your rights? Got a little one who’s wondering what all this “constitution” business is about? Well, thanks to the ACLU, you can answer their questions — and your own! — without having to spend a dime. 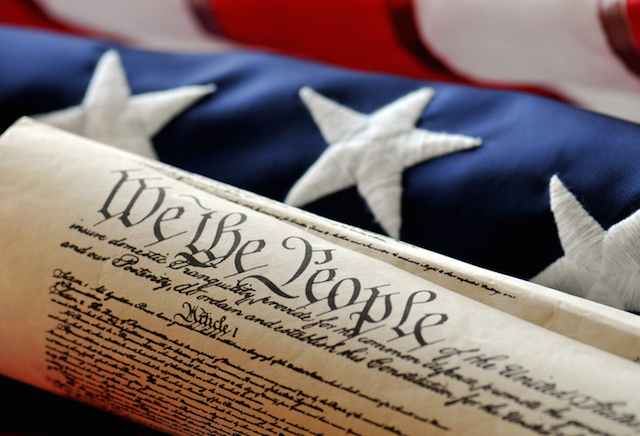 The ACLU is giving away its pocket-sized version of the U.S. Constitution for free through Election Day. The freebie announcement came last Friday, following a certain speech at the Democratic National Convention last week you’ve probably already heard about. Khizr Khan, father of a fallen Muslim-American war hero, offered his copy to Republican presidential nominee Donald Trump during his speech on Thursday. The American public responded by snapping up their own copies. By Saturday, the 52-page pamphlet had become a best-seller, according to ABC. Although the pamphlet is normally priced at an affordable $5 at the ACLU’s site (or just $1 on Amazon), you can get your hands on it for free through Election Day, which falls on Nov. 8 this year. Bonus: Shipping is free too! To claim yours, just head to the ACLU’s website and place a copy into your shopping cart. Then, add coupon code “POCKETRIGHTS” at checkout. Even if you already have a copy, it’s free, so why not grab it? It’s a great tool to help teach your kids about their country’s laws, and you could always donate it to the library. And like Khan, you can probably think of somebody who should have another look at it, too. 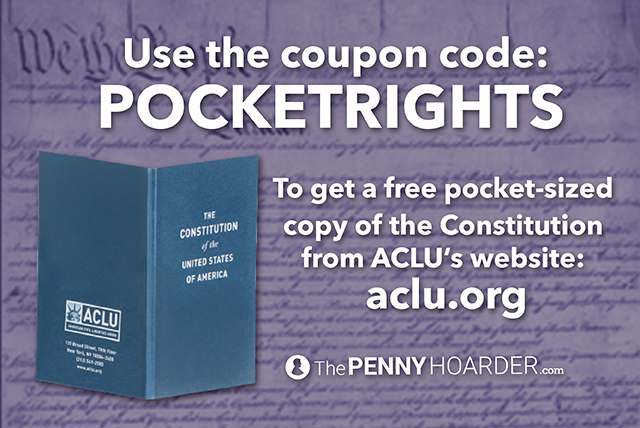 Your Turn: Will you take advantage of this free pocket Constitution deal?